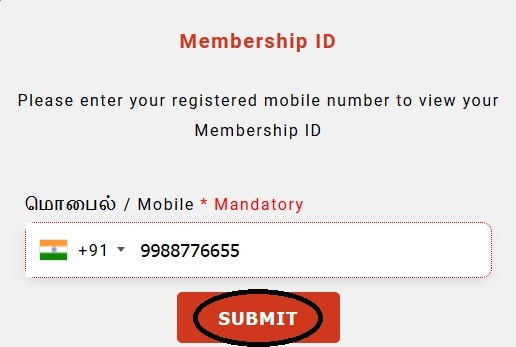 How to Get Membership ID? 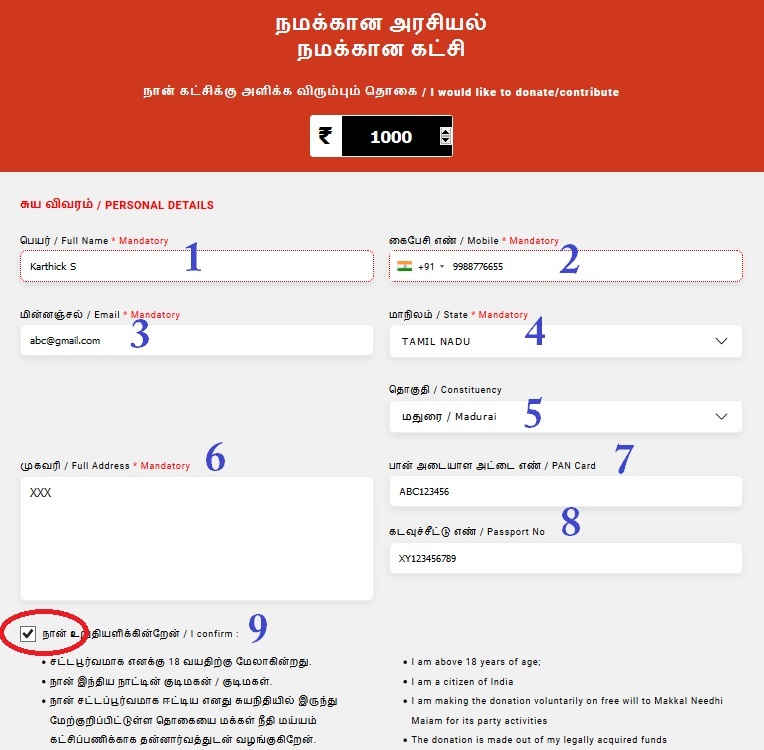 Just follow the below steps to get your Makkal Needhi Maiam’s Membership ID. Step 2 : Next, click on the “Membership ID” link in the menu bar. Step 3 : Enter Your Mobile Number & click on “Submit” button. ** Donate liberally to help strengthen the party. To donate online visit the official website and click on “Donate” link. (v) There is no restriction in any manner for me to make this contribution. (vi) All the above statements are true and correct. 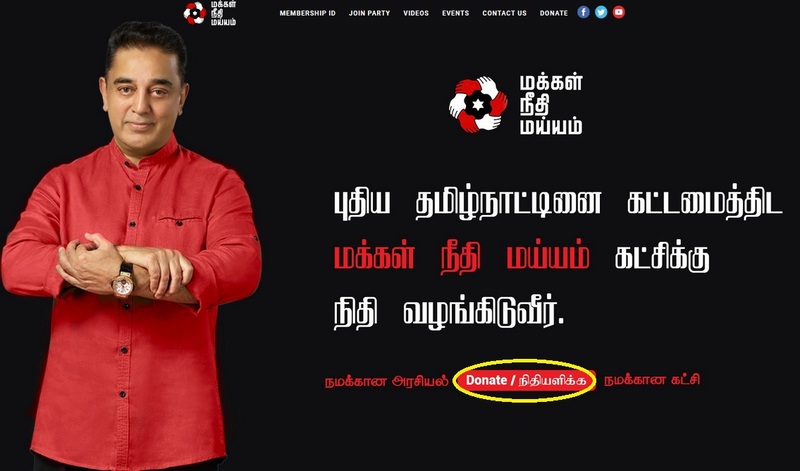 (vii) I further confirm that I have no objection in Makkal Needhi Maiam communicating with me through the above mentioned email id and mobile number. Maiam Whistle is an app for the people, by the people. Maiam Whistle’s objective is to empower the citizens of Thamizh Nadu to ask questions and demand justice. Citizens can now report issues plaguing their locality and ensure that awareness is created about the issues. now It’s time to blow the whistle. Raise your voice today for a better tomorrow. ** Home – Tap here to manage profile,switch view or change preferred language. ** Upvote – To show your support to a report issue,tap on the thumb-up icon. ** Location – Tap here to change constituency & view reported issues. ** Report Issue – Tap here to report an issue. Then fill the required details to post the issue. ** Add Photo & Video – Its is mandatory to include photos or videos as proof. ** Report On Corruption – Tick the checkbox in the end to mark it as a case of corruption.